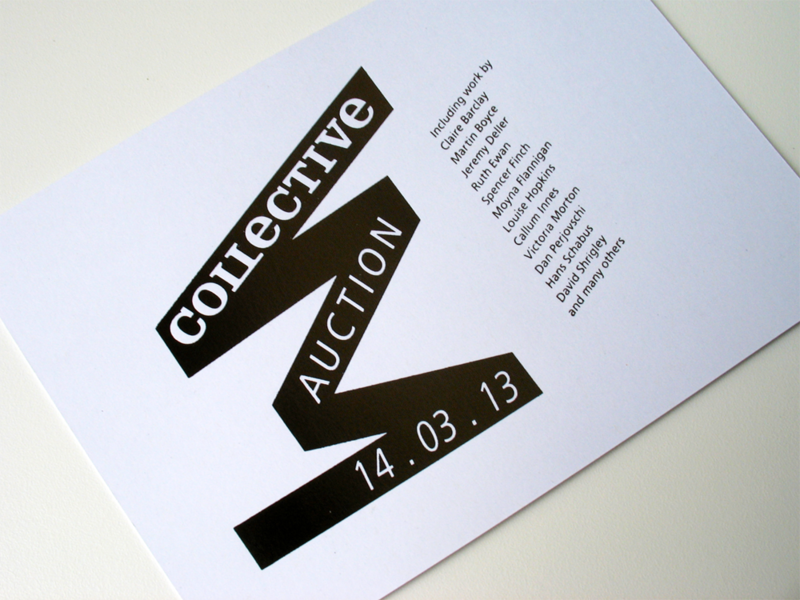 I was asked to layout an invitation for Collective Gallery's auction, a fundraiser to support their move to the former City Observatory on Calton Hill, Edinburgh in 2013. 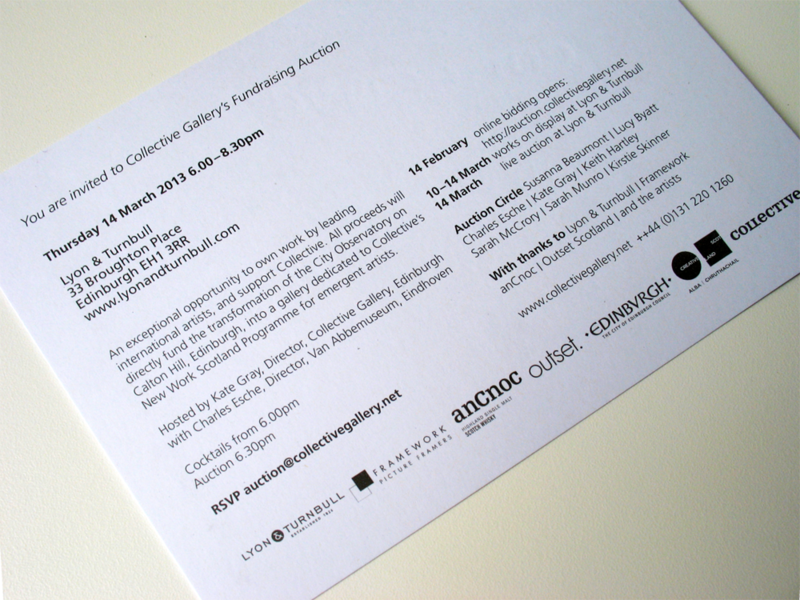 My design uses a pre-existing logo which I converted to one flat colour for foil blocking and is set in different weights of Frutiger, the gallery's typeface. The card is 148 x 210 mm, printed on Revive 100 White 350gsm and is foil blocked in a metallic Gunmetal grey with the reverse printed in Pantone Warm Grey 11.